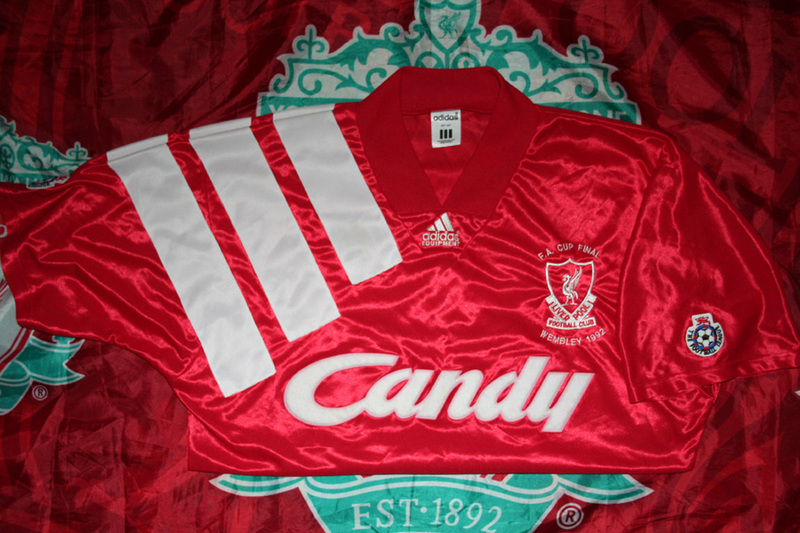 This home shirt was used by Liverpool only in one match - the 1992 FA Challenge Cup Final against Sunderland played at Wembley Stadium on 9 May 1992. This Cup Final shirt is absolutely one-off with no replicas produced, no matter long or short sleeved. 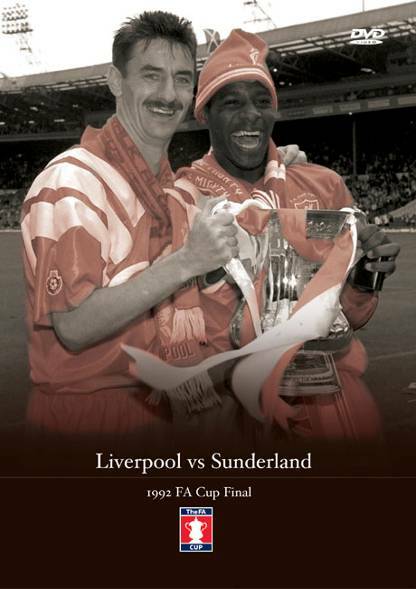 Featured Ian Rush and Michael Thomas, both goalscorers, picking up the FA Challenge Cup after the match. 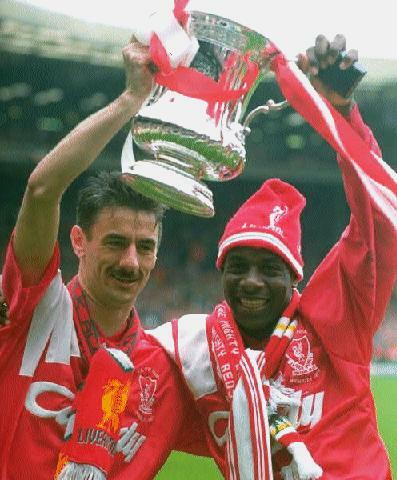 Featured Ian Rush and Michael Thomas, both goalscorers, picking up the FA Challenge Cup after the match. Featured Michael Thomas celebrating after his scoring of the first goal of the match. 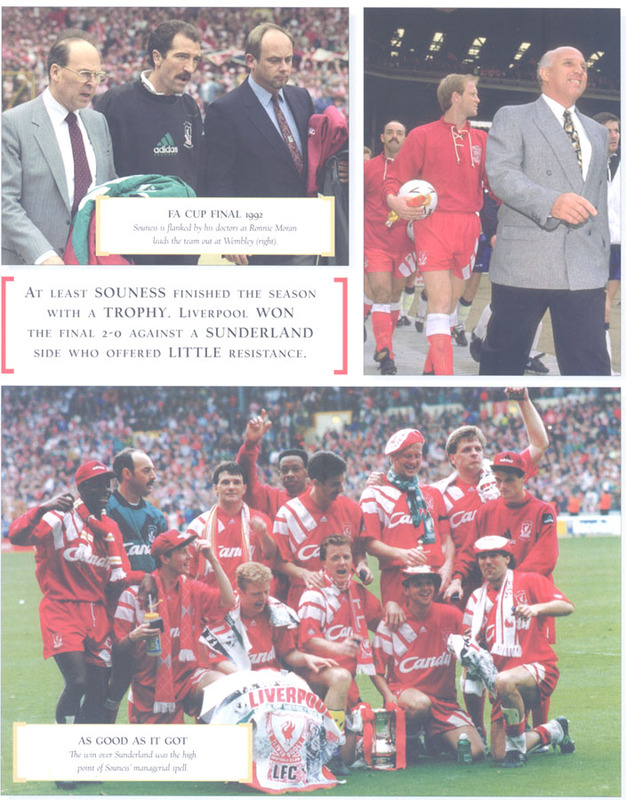 Pre and Post match pictures of the FA Cup Final 1992. 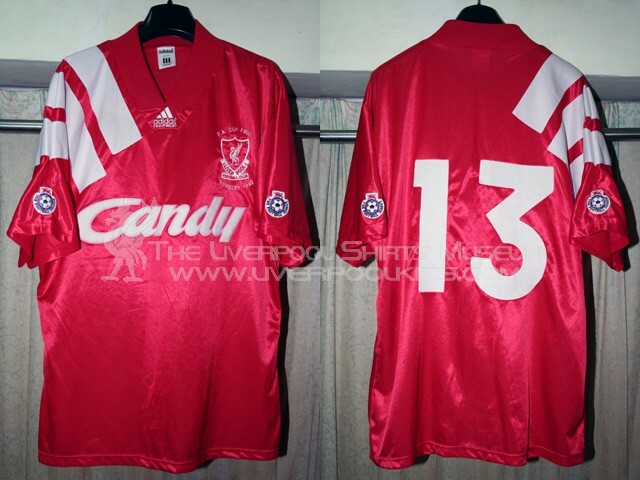 1992 Liverpool FA Cup Final Player Shirt - Number 13 shirt is a coach shirt worn by Roy Evans, the First Team Coach back then. 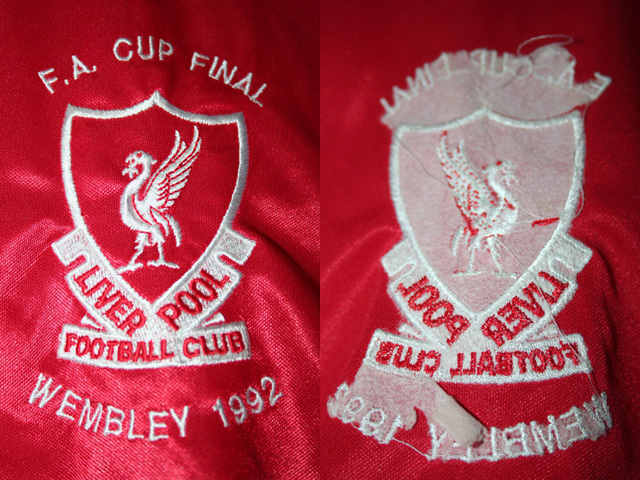 This FA Cup Final player shirt has a special Cup Final embroidery around the embroidered cup crest. However, this is not the only distinctive feature of this one-match shirt. Let's see the following comparisons. 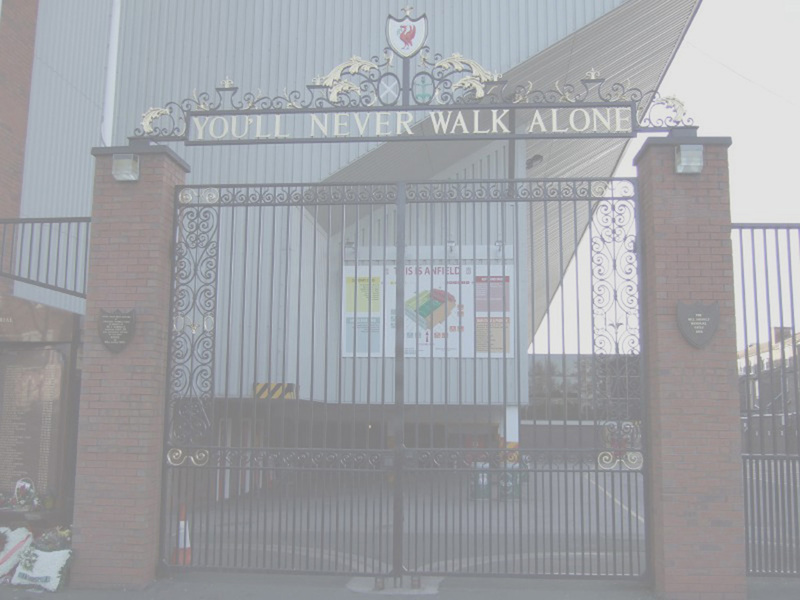 print-incorporated Adidas three-stripes on shoulder, print-incorporated Candy sponsor, printed Adidas motif appears on one of the three stripes, and old Liverbird crest used. Next we look at the 1992-1993 home centenary player shirt. 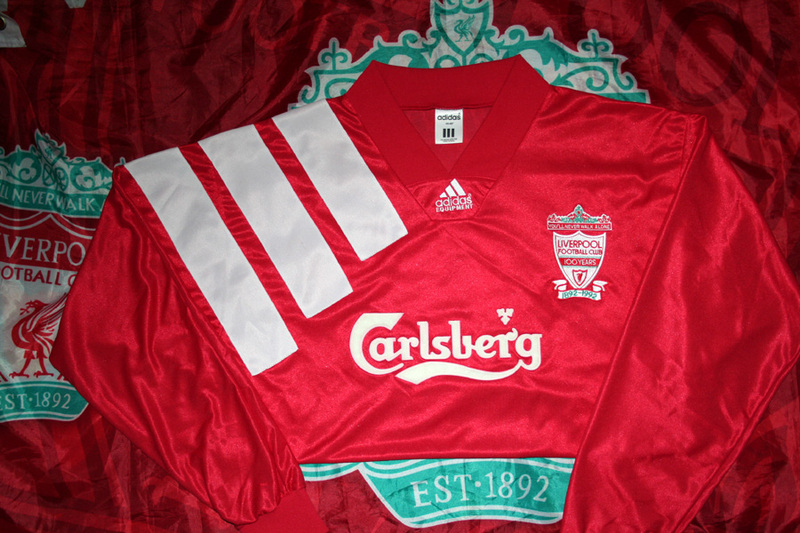 The characteristics are: cloth-stitched Adidas three-stripes on shoulder, embossed Carlsberg sponsor, embroidered Adidas motif appears in the middle of the v-neck collar, and centenary Liverpool crest used. 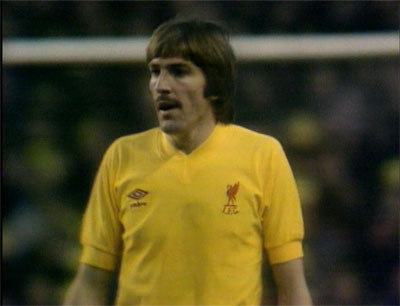 cloth-stitched Adidas three-stripes on shoulder, embossed Candy sponsor, embroidered Adidas motif appears in the middle of the v-neck collar, and old Liverbird crest used. This one-off FA Cup Final shirt was worn in once. 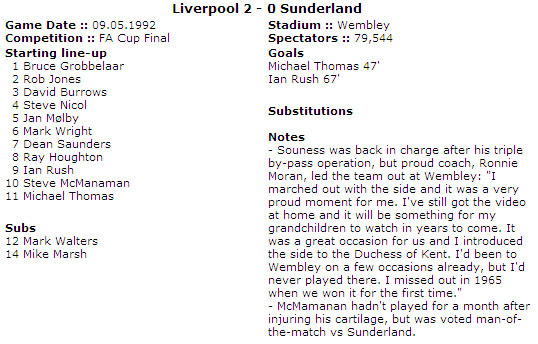 Note that starting line-up wore the #1 to #11 shirts, and #12 and #14 were the only two substitute. 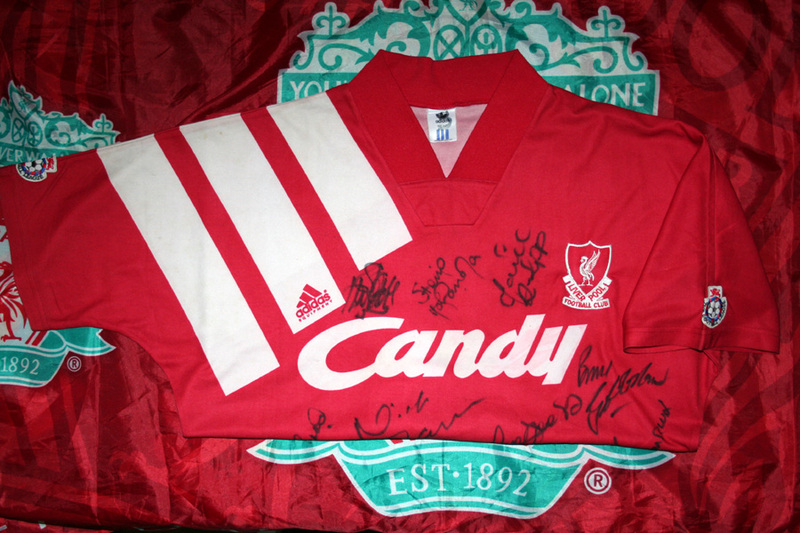 This #13 shirt comes with a letter of authenticity signed by ex-manager Roy Evans. A scan of the said letter won't be shown here to prevent forgery.